We provide patients with preventive and restorative treatments using cone beam scanners, digital X-rays, and an in-office CEREC® unit that can create same-day restorations. Dr. Bray provides comfortable and effective care. Welcome to Lake Area Dentistry, where Drs. Jeffery A. Hennigan and Nathan Bray provide comprehensive general and restorative dental services to patients of all ages. If you are looking for a dentist in the Lake Charles, LA, area, you can count on us to provide compassionate care personalized to meet your needs. We are focused on prevention and take every measure to ensure that your smile is guarded against disease, decay, and trauma. Throughout our history, we have provided exceptional oral care treatments to help our patients achieve and enjoy a lifetime of healthy and beautiful smiles. Before undergoing a procedure, we will first discuss your options and help you choose the most appropriate treatment based on your individual needs and goals. Rest assured, our dentists will always have your best interests at heart, and we want you to feel comfortable and confident about your care. Lastly, we accept most major insurance plans and offer financing through CareCredit® in order to make our treatments affordable to a wide range of patients. We are open Monday through Thursday from 8 a.m. to 5 p.m., and Friday from 8 a.m. to noon. When you walk through the door, you will be welcomed by our friendly staff who can provide water and freshly brewed coffee. We respect your schedule, and your appointment will begin on time. Each of our treatment rooms is furnished with a TV, so you can enjoy your favorite show during treatment. If you are feeling anxious during your visit, we offer nitrous oxide and oral conscious sedation to help you relax. Digital cone beam technology provides a high-definition look at the state of your teeth, gums, and jaws. In order to provide the most effective care, our office is equipped with advanced diagnostic equipment. 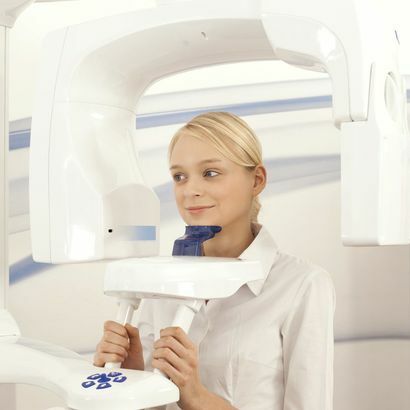 We can use digital and panoramic x-rays to generate highly detailed images of your teeth and jaws, or use our intraoral cameras to spot cavities and other issues in the earliest stages, when they are most treatable. With the help of these tools, we can gain a more accurate understanding of your oral health and provide treatment accordingly. Meanwhile, we can use these tools to provide you with the patient education necessary to help you maintain your oral health. I really, really don’t like to go to a dentist office, but Lake Area Dentistry was a very good experience. They have a beautiful office and everyone was very nice. Complete your medical history form before your appointment. Fill out this form for patients 13 years old and younger. We invite you to learn more about our convenient financing options. We look forward to providing you and your family with care that is technologically advanced and completely personalized. Whether you are in need of a routine dental examination or a more advanced treatment such as dental implants, we are here to help. To schedule an appointment, contact Lake Area Dentistry online or call 337-478-8470. Leave a review to let us know about your experience at our office.